The prevalence of gastroesophageal reflux disease (GERD) in Western countries ranges from 10% to 20% of the population. There is emerging data that endoscopic solutions can provide less invasive alternative therapies to treat GERD. 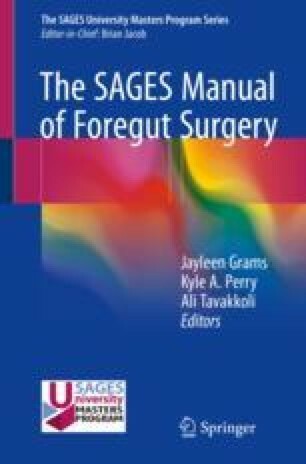 Several different approaches have been employed that alter the gastroesophageal junction (GEJ) to decrease reflux, namely: (i) implantation of prostheses to narrow the lumen, (ii) radiofrequency (RF) energy to induce remodeling, and (iii) sutured fundoplication. Three endoscopic devices currently have FDA approval – Stretta®, EsophyX™, and MUSE™ – and are discussed in detail in the chapter. Endoscopic therapies for GERD continue to evolve to meet patient needs. The goal is an effective mechanical solution that can be delivered with minimal morbidity and excellent long-term durability. Currently available devices have been shown to be safe and effective in improving symptom control and quality of life and offer a well-established alternative to laparoscopic interventions.